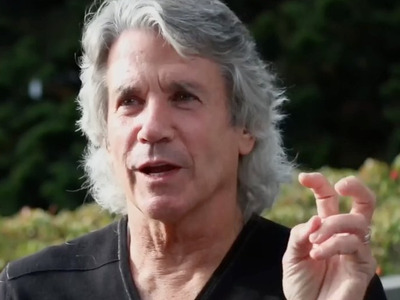 Long-time Fed critic Bill Fleckenstein thinks that his heated segment on CNBC.com’s “Futures Now” two months ago is evidence we’re in a bubble. “You could look at all the sentiment polls. You could look to the behaviour of the participants. Now, when the newscasters are castigating you for not understanding monetary policy — um yeah — I mean I thought that was an extreme moment. “About a week later…I was on Bloomberg and the same sort of thing happened. I thought ‘Wow! The psychology has almost gotten more rabid now than it was in 1999,'” Fleckenstein told Real Vision Television. This, he explained, makes him think there’s “another bubble.” He didn’t say the bubble is going to burst yet, but that it exists. Fleckenstein was interviewed in a 45-minute segment by Grant Williams, the author of the newsletter “Things That Make You Go Hmmm,” on Real Vision Television — an on-demand, subscription video service for investing and economics Williams and former global macro fund manager Raoul Pal recently started.